The brilliant London Westend Musical, Thriller Live is one of the most beautifully made musicals which is based on the life and career of greatest entertainer ever, Michael Jackson. Adrian Grant has enlivened up the stunning Lyric Theatre London with mesmerizing numbers and awesome dancing moves of Michael Jackson. The acclaimed show is a complete celebration of the amazing career and life of the great star. The Lyric Theatre is running the houseful shows of this greatest entertainer featuring some of its all time classic hits, such as Billie Jean, Smooth Criminal, Dirty Diana, Earth Song and Beat It. All the magnificent numbers are performed by the four lead vocalists along with some distinguished dancers. Michael Jackson shows would be incomplete without some extraordinary steps, so Thriller Live also has some amazing performances to watch out for. 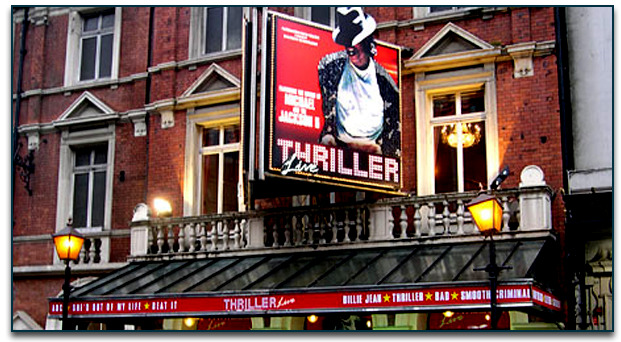 Since 2008, Thriller Live is creating waves at the theatres and successfully ruling the hearts of millions of viewers. 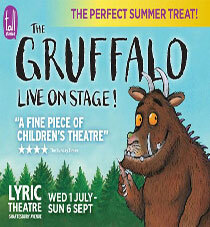 Lyric Theatre has beautifully presented the show with all its special multi media effects. The theatre is located on Shaftesbury Avenue in the City of Westminister. C J Phipps designed the opulent theatre for the producer Henry Leslie who was riding high with the profits of super duper hit Dorothy by Alfred Cellier and B C Stephenson. The history of Lyric theatre holds maximum performances of comic operas followed by musicals and straight dramas. In September 1960, Lyric Theatre was listed by English Heritage in Grade II. The theatre marked its opening on 17th December 1888. The theatre has four levels and occupancy is 967. Some of the notable productions of Lyric Theatre are Dorothy, Doris, The Mountebanks, His Excellency, The Sign of the Cross, Florodora, Hairspray and Thriller Live. Book online tickets now and avail an exciting discounts. 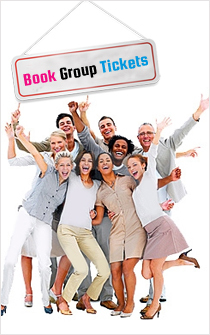 We offer safe and secure booking with seat allocation made before the payment done. All booking will be done from the official STAR Websites.